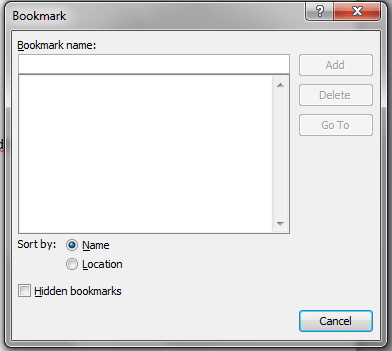 In this article I will explain the basics of working with bookmarks in VBA for word. The input parameter to the Add method is a text string to name the bookmark. 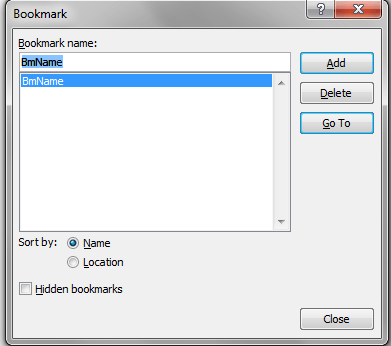 The bookmark will be created at the location of the cursor at the time of calling the function. 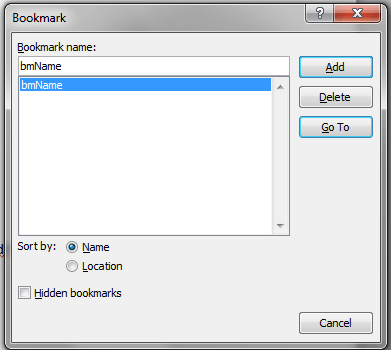 Note: The Add method of the Bookmarks collection also accepts a second optional parameter. A range object. If passed the bookmark will be created at the start location of the range object rather than the current cursor location.